You are here: Home Articles What’s Been Going On? In this time the Hopi call the Great Purification, we are undergoing massive changes both individually and collectively. During our lifetime, vast cycles of time are ending and new ones beginning, basically all at once. We are awakening to a Golden Age of peace and enlightenment unprecedented on Earth. Special planetary alignments facilitate this transformation. The Harmonic Convergence in 1987 marked the beginning of a 25-year period leading to the ending of the Mayan calendar in 2012. This is when the Maya say we will enter a new cycle they call the World of the Fifth Sun. The prophecies of indigenous people around the world and ancient wisdom texts concur that we live at the time of a major shift of consciousness as humanity reawakens to Aquarian ideals of love, peace, prosperity and humanitarian service. Throughout this transition period, star alignments signify the types of changes that are moving us forward in the evolution of consciousness. These include a rare Solar Eclipse/Grand Fixed Cross alignment on August 11, 1999; three Saturn-Pluto direct oppositions in 2001 and 2002; and the Harmonic Concordance Lunar Eclipse in November 2003. 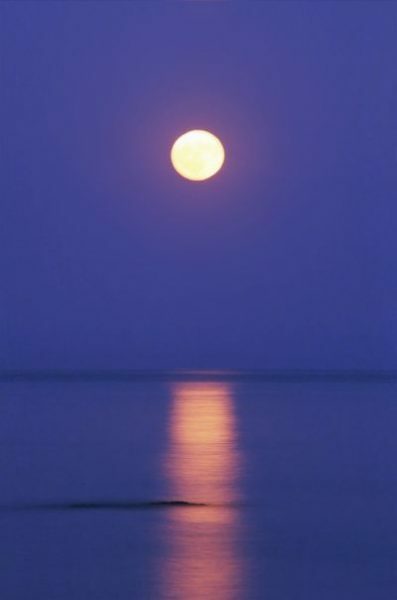 Most recently, a Lunar Eclipse on the Wesak Full Moon took place on May 4, 2004. This was the culmination of an important cycle and catapulted many into expanded states of awareness and higher consciousness. Each of these special planetary configurations is a moment of grace, a gateway to interdimensional awareness, a time when the soul is exposed and ripe for contact. They are moments when we may awaken and align with our life purpose more fully. This was, make no mistake, the greatest shift of consciousness ever. The period between November 8th and 23rd 2003, was a very special time when Humanity was assisted by all the Heavenly Beings of Light to catapult their consciousness into the Fifth Dimensional Level. After the Lunar Eclipse on November 8th, a rare Galactic Alignment built powerful Cosmic Energies which gathered momentum until the Solar Eclipse on November 23rd. For a short period of time the planet Chiron took up position in our universe creating the Star of David formation in the Heavens and this became the harbinger of powerful unprecedented showers of frequencies of Divine Consciousness. (In ancient lore, Chiron was a ‘wounded healer’ who became a renowned surgeon and herbalist, and also the teacher of great heroes like Jason, Achilles, and Heracles… and Asclepius, the Greek god of medicine. Chiron is the root of the word chiropractic, a form of hands-on healing. ‘I AM’, All That Is! Every man, woman and child were treated to a rare glimpse into the remembrance of their own Divinity, and the Oneness of all Life, whether they were aware of it, or not. The Light of Divine Consciousness shined forcefully through the Mental Strata of the Earth, and a portal into the Divine Mind of God opened within the mental bodies of all humanity. The new Solar frequencies of the Fifth Dimension thus became available to all those who choose it! These frequencies are aligned with the Ascended Master frequencies, and they hummed in tune with the patterns of perfection in the Causal Body of God. This was, make no mistake, the greatest shift of consciousness ever to be attempted by the Heavenly Beings of Light, for all humans to take advantage of. This gigantic shift of consciousness was very essential to the Divine Plan of anchoring the Light of God on to the planet, to transform the Earth, as well as all humans, for if this was not done, it would be like trying to change the image of humanity in a mirror, without changing the human himself who is causing that reflection. Outer-worldly situations can only change if there is a corresponding change in the minds and hearts of men. When every soul on the planet remembers the Oneness of all Life, and that if we harm another, we are in actuality harming ourselves, then this profound truth will open up the panoramic, mind-blowing concepts of the interconnectedness, interrelatedness, and the ultimate inter-dependent-ness of soul and soul. All the adversity I’ve had in my life, all my troubles, have strengthened me…you may not realize it when it happens but a kick in the teeth may be the best thing in the world for you. 2006 was a Sacred and Beautiful period – the full potential of the seed that was planted two thousand years ago emerged more strongly. The Sacred Heart within each human has been activated into becoming a vessel for Divine Source Love and Light. The powerful Earth God and Goddess of Light and Fire are emerging now as the Divine Masculine and the Divine Feminine, cosmic energies return to balance within the Collective Consciousness and also within individual human beings of light. Truly, this was a Miraculous and Light-filled time! 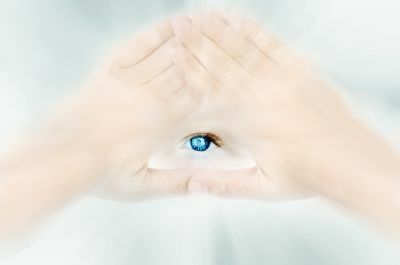 If you could see with the “eyes” of Love and perceive with the deep feelings of your heart, you will have entered into this Miracle of Love that was and is now taking place. The great emissions of Solar Light that were sent forth from our Sun, originated from the Galactic Center and were sent to our planet via the magnification of the Sirian suns. Their Spiritual and Evolutionary purpose was to transmit powerful Light Codes that would fully activate the Solar Divine Feminine in her Archetypal return to the Earth. As her energy once more, flows forth in all its power and passion and creativity, it requires too that the Divine Masculine energy also reclaim its lost balance and power and become whole and complete once again. Right now, both the Divine Feminine and the Divine Masculine are being activated and balanced within many who have opened themselves to this miraculous transformation and are balancing as a way of serving the planet in her transformation. You see, many thousands of years ago, the Human Collective Consciousness decided to “switch off” the power of the Feminine by no longer receiving and transmitting the Solar Light Codes or energies of the Divine Feminine. The Feminine was limited to the Lunar Codes only, except by a very few who held the flame of the Goddess within their hearts and kept it alive. However, when the Feminine became unbalanced in this way, so did the Masculine. For the duality of “Masculine” Solar energy and “Feminine” Lunar energy was created in our consciousness and so, we became locked into a duality that created imbalance, for the Solar power was perceived as greater than the Lunar power, and it was held by the Masculine. So, generations of power struggle and abuse resulted as men and women tried to unite without being able to achieve spiritual balance within themselves. For men were solar and women were lunar, and they were unable to find balance and harmony within themselves, and so this was projected onto their relationships. 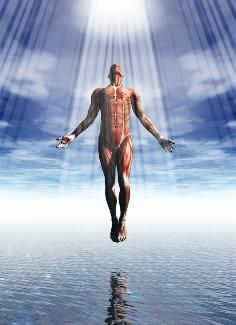 In this period of Ascension back into Light, we have worked hard to re-admit the Solar Codes and re-establish the balance in our subtle and energy bodies. The Higher Dimensions had foreseen this path more than two thousand years ago and so they sent the great Teacher, Yeshua ben Josef, and his Twin Flame, Mariam, to the Earth. These ones were known as Jesus the Christ, and Mary Magdalene. Their roles were to teach the truth of the Sacred Heart as the Temple of Divine Love and to lay down Archetypal templates in the Earth’s Akashic records through their lives, of the balanced Divine Masculine and Feminine. So, despite many attempts, to hide this truth and continue the dominance of the Solar Male, the Truth and the Light have emerged. The Collective Consciousness has once again opened to receive the Radiant Light of the Goddess or Divine Feminine as the Light Codes are transmitted by the powerful Solar surges. The Divine Heart within the Collective is activated, and the balanced God and Goddess of Light emerge. Right now, it means that each and every one of us now has the ability to balance the Divine Masculine and Feminine within and to enter into a Twin Flame Union and experience the Sacred Love and Ecstasy of the Source while in a human body. This was the true gift of the birth of Christ. For when the Light returns, then balance returns and then Peace returns. When Love flows through the Sacred Heart into the Collective Consciousness, then Peace returns. When humans once again transmit the Sacred Fire through their Sacred Unions of Love and Passion, then Peace returns. So, at this time of the return of the Light, we can truly celebrate the return of the Light Within. Know this as a moment of great Empowerment and Truth. This is the gift that humans have waited for so very long, celebrate, for our achievement is great! Christmas of 2006 was a powerful and blessed time. We can be now truly reborn and return “home” to our birthright as the bearers of the Divine Light! We are the Christ men and women who are the Gods and Goddesses of Light. We are becoming balanced and whole and perfect bearers of the Cosmic Light. We can celebrate! Let ourselves become vehicles for the transmission of this Divine Love. We are the Sacred Heart! Its truth is revealed through You! The more we claim our right to transmit the Divine Masculine and Feminine Light Codes or Energies in their new balanced forms, the more we will become the “Light of the World”. As the Great Teacher said, do not hide your Light, but let it shine forth where all can see its radiance. Now, more than ever before, our Light is needed in the World. This is what we came to Do. We stand now on the threshold of even greater changes. 2007 has been the year of Love Made Manifest on the Earth. We were given a great gift of Love in December of 2006 and the unfolding of that radiant love energy has continued throughout 2007. We have experienced that Radiance and Luminosity in every aspect of our lives. In 2007 it has become possible for some of us to be aware of the two distinct worlds that exist side by side at this time. The Old Energy World based on third-dimensional perceptions has continued its downward spiral into violence and chaos. This is an illusion that has been largely orchestrated by the media through coverage of events in the Middle East and elsewhere. Those who live in this world of illusion will feel anxiety and stress and anger, especially around economic and security issues. However, this old world is weakening and as more people awaken, its illusory nature becomes plainer to see. The New Earth is emerging into manifestation, based on Unconditional Love and it is becoming stronger every day. Those who have crossed into the New Earth will feel the positive and loving energy of support and joy as they begin to live from the heart and become more proficient in the skills of creating abundance and miracles. We who are feeling this pull towards Love are the pioneers and leaders who will manifest the New Earth as we live our truth and our passions and create abundance and joy and love, an embodied example for others to follow. These two worlds will exist side by side for now and it is up to us to make a clear choice as to where we want to be. It is like tuning yourself to a radio station – the one station is 3D radio and the other is Multi-Dimensional or 5D radio. When we are “between” stations, neither in one nor the other, we will feel fuzzy and out of tune with our self, as if we are in a void, searching perhaps for something but not knowing what exactly. When we are in the 3D mode, we will feel fearful, angry, anxious, with a sense of lack and low self-worth, accompanied by judgments and the need to control. When we are in 5D station mode, we will feel balanced, calm, joyful and abundant, discerning, flexible and things will flow effortlessly into manifestation. We select the station with Intention and Conscious Choice. We decide where we will tune our energies and which frequencies we will transmit to others. In the New Earth, it is a simple choice, it is not difficult at all. It is merely a question of making a choice and once we make the correct choice for the Higher Dimensional frequencies, we will attract others who have made the same choice, and together we will form Communities of Light that will transmit the frequencies of Unconditional Love into manifestation on the material plane. How Have These Developments Affected Us? Well, many people who perhaps have no conscious knowledge of these events and maybe even have little interest in spiritual matters would have been focusing on their aches and pains, their illnesses or their issues. A massive clearance is taking place within all of us, whether we are aware of it or not. As our energy centres and in particular our heart energy centres are stimulated, people will perhaps have to cope with the effects of having to look at themselves more deeply and honestly. The negativity and ego issues that they have been holding on to, will be brought to the surface to be released, as they continue with the healing process. Relationships also have been under great stress, with even long-term partners finding themselves separating because the emotional/spiritual differences between each other have become too wide. 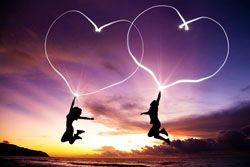 As one partner perhaps clears their energy quicker than the other, their vibrational frequencies change and whereas they were originally drawn to each other like magnets (like attracts like) they now find difficulty in being together, similar to magnets repelling each other when you try to join them the wrong way around. Females have found their power returning with the increase in the divine feminine energy. They want to live their lives differently, to take charge of their own destiny as they now start to feel more empowered. Their Male partners who are used to being the dominant one, find this difficult to understand or cope with. Males are becoming more emotional and gentle as they are also affected by the increase in their divine feminine energies. As the divine energies balance over time, peace will return and relationships will be based on genuine Love for one another. Now, imagine standing in a pitch-black room on your own, you know there was nothing in there with you before it went dark but even so, after half an hour you would start to get anxious as your imagination started to play tricks on you. After an hour you would be hearing noises perhaps, seeing shadows in the dark and so on… getting quite anxious. Then someone comes and switches the Light on and all your worries and fears disappear as you can see that there was nothing in the room, after all, no reason to get so upset, it was just your imagination. Humanity has been standing in that dark room for a long time and creating all the fear-based issues and problems during that time. Up until the Harmonic Concordance, Light has been Lovingly projected on to our planet to help us overcome the fear-based ego issues that are being created here because of the energy imbalances. Since the Harmonic Concordance that Light has been increased by so much that our spiritual evolution has accelerated at a fantastic rate. As uncomfortable as it may be for most of us, it is a fantastic blessing for the Collective Consciousness, Humanity and the future of our planet. 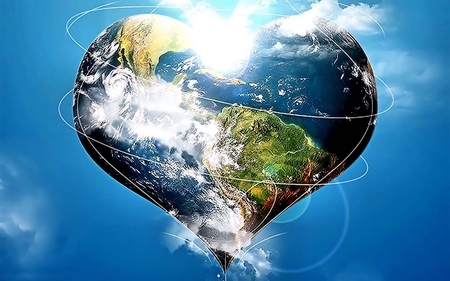 Love and only Love is returning to Earth and as more and more people chose to cleanse themselves of their negativity and take this opportunity to balance their energies and awaken to the Real, the planet will change from one of fear to one of Love. Your prayer causes you to focus, and the Law of Attraction causes everything in the Universe that’s in vibrational harmony with your focus, to come to you. One theme of 2007 that was consistent all year through was the desire for people to line up and work with the Law of Attraction in their lives. Most people became educated, clear about what they want and launched many thoughts of desire. Now it seems many of us are in the gap between where we are and where we want to be in relationship to all those desires. This will be the theme for 2008, how do we close that gap of where we are verses where we want to be and activate and vibrate in the Allowing of all our desires. The Law of allowing can be defined as the state of alignment with the Well-Being that flows from your inner-being connection. The focusing of your attention upon things that cause you to offer a vibration that allows your connection to your natural source of Well-Being. Tolerating is very different from allowing. Tolerating is seeing what is not wanted, with our parents, partners, children, friends, work, pet’s, ourselves, the world and so on… feeling the vibrational evidence of that perspective but deliberately taking no action to align with a better feeling perspective. Allowing is deliberately giving your attention only to that which causes a vibration of alignment with your inner-being. When you are in the state of allowing, you always feel good. Therefore, the Law of Allowing is in essence acceptance of what you or others have attracted without any resistance. It is different from tolerating, which is putting up with something that displeases us. Tolerating always creates negative emotion within us. Allowing always creates positive emotion within us! A person who understands and lives by the Law of Allowing rather than tolerating is called an allower. By choice, an allower becomes free from negative thoughts including judgment, fear, anger, and resentment. Ultimately, an allower feels great love and compassion for himself and others but understands that all of us are creators of our experience. An allower is tuned into love and free of any opinion of the person, place or situation. All situations wanted and unwanted, have been attracted through our vibration and have value to us. As allowers, we will ask ourselves the question, what new desire has evolved from this situation? Unwanted situations will be transformed, once we shift the direction of our thoughts toward the desire, releasing negative emotion associated with what we originally attracted, and replacing it with positive emotion. Unwanted experiences can enhance the strength of the new desire when our thoughts are positively focused. For example, I had a friend who viewed everything to be right and wrong, good or bad, appropriate or not appropriate. More times than not, the discussions where we disagreed would become a venue for him to assert his being right and me being wrong. He would spend much time cleverly trying to get me to agree with him and affirm his point of view. After many conversations, feeling frustrated and with no sign that he was going to let up, I stopped bothering with him. The extreme contrast of his behaviour and perspective caused a knowing to grow in me that desired a relationship with a friend that was open-minded, easy and allowing when it came to our different perspectives and opinions. We attract pain and suffering because of the way we perceive our life circumstances. When we decide that something or someone is right or wrong, good or bad, we are engaging in the process of judging. When we judge others, or ourselves we create, through the Law of Attraction, more opportunities to be judged, thus embarking on an endless cycle of pain and suffering. As we tolerate or put up with the choices of others, we create a struggle within us, resulting in negative emotion. Anything we struggle with or fight against attaches us to the source of our dissatisfaction causing us to attract more and more of the things we are pushing against. The stronger the resistance, the more we energize what we do not want by giving attention to it. We can spend our entire life in a struggle mode or we can choose to tune into love / our inner-being connection and deliberately create a life that feels better and better to us. In addition, we support the same freedom for others by allowing them their choices and knowing, of what feels best for them. Remember, we never get it done and the room for growth is endless … So Be Easy with yourself and others and have a lot of fun with it! The new Light Codes that were activated in December 2006 through the Solar energies have continued to activate and energise the Earth’s crystalline grids. The planet is moving already into a new cycle of spiritual evolution, and in March 2007, at the Equinox, powerful energies were once again activated. There was a Total Lunar Eclipse on the 3rd of March and a Partial Solar Eclipse on the 19th. 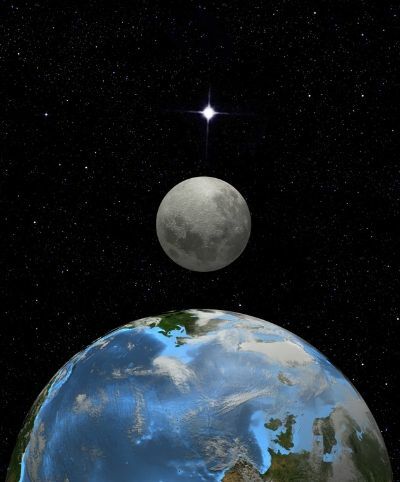 These points represented opportunities to fine tune the Solar and Lunar energy codes as they were transmitted into Earth’s Collective Awareness fields. In this cycle of evolutionary growth, we will begin to truly understand the Great Gift of Love that we have been given in this transformation process. Becoming a Christed being and receiving the Twin Flame love into our Heart is the Miracle of Ascension. Many of us have had expectations about what our Ascension would be. We expected perhaps to become more psychic and more telepathic and better healers and indeed these are part of the awakening into the Light. Within us lie the answers to our deepest questions and the antidote for all our fears. The divine is not an abstraction – it’s as clear and intimate as a heartbeat or a whisper. We are penetrated, suffused caressed, cell by cell and synapse by synapse, with the same love that set the galaxies to spinning. No matter how identified we’ve become with mind and body, we can release the thoughts that blind us to the truth. Seek the still point where the words “you” and “I” lose meaning, where we meet and merge as One. However, these expectations are based on the gifts already given in the past. All humans already have access to these gifts if they do not repress them or close them off. For the great teacher Jesus said that you would so do, all that he had done – and more! and so, the greatest gift of Ascension is the Twin Flame Love. When we begin to feel the flows of this energy and to understand its power and its gifts, then we will understand Ascension and what we are becoming. We are becoming gifts of Love within yourselves, even now, we are transforming and changing…..
For, Ascension is about moving from a mind-based reality and ascending into a heart-based reality. Here, in the Temple of the Sacred Heart, you will find Love as you never imagined possible in human form. You will find this love within yourself, as the essence of who you are and then you will learn to project this love into the exterior world as radiant luminous Love. When we have achieved that, then we will learn how to enter into radiant and joyous relationships in which that powerful light and love will be transmitted between partners as a way of making Love manifest on the material plane. However, this will not happen until we have learnt to balance and transmit the radiant love of Source first within yourself and through your Heart and we have fully become “the Light of the World” within our self. Then we can share that light with another. It is indeed a sacred gift as the two partners join their Sacred Heart temples and become ONE in the Radiance of Source. So, we will go into the New Earth as bearers of the Radiant Light of Cosmic Unconditional Love. We will be Luminescent and we will be Miraculous and we will Be – a new Creation of Light beyond what we could have imagined or expected! Another exciting development in 2007 has been the emergence of the Adult Indigo, and Blue Rays, of those who were the first wave, as a factor in life on the planet. Those who mostly were first to incarnate in the early 1960s are now moving into and through their second Jupiter return, and being “powered” up to work as a Soul Group to help to begin manifesting the New Earth as Leaders. Jupiter, the planet of Mastery and Wisdom, has been situated in Sagittarius, approaching the Galactic Center, giving an added acceleration to the emergence of the Master Souls as a factor in Global Society. We will see these young adults emerging in many powerful places with innovative and exciting ideas that will transform the way we live on Earth. This is their “Mission”, and they will be excited and passionate and focused as they begin this phase of their work. They will emerge in technology, in computer sciences, as Healers, in Health groups, in local community organizations, in business and finance, in eco-politics and sustainable practices, in the media, as messengers of truth in fact, everywhere! You will recognize them by their “New Earth” philosophy of life. They will live lives of Significance and Meaning, rather than achievement, and they will strive for abundance for all, rather than individual wealth and affluence. This is not to say that they will not achieve or be wealthy but it will not be their main focus in life. 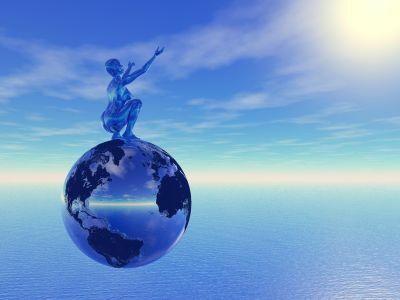 The New Earth is about caring for people and caring for the Earth and the higher vibrational First Wave souls will take seriously their new roles as guardians and keepers of the Planet. They will be the Leaders in manifesting this new reality on Earth. They contain within their souls the “codes” for these new ideas, it is their mission as a soul group. The first wave ascended Lightworkers, who are older will be mentors and role models for those who are following and will need to guide the younger high vibrationary beings and respect their energy and work. This is a deep responsibility, as many of these beings grew up without adequate role models or mentors and have little respect for the wisdom of the Elders and the Wise Ones. The older Lightworkers and younger high vibrationary beings will need to learn together how to respect each other for the gifts that they can share as they build the New Earth. As we open and develop into Communities of Light, the pathways – Spiritual Warriors, Wise Men and Women, Elders, Mentors – will once again be established among us as we learn to love and respect each other and our work in life. Also important at this time will be the incoming waves of Blue Star Crystal Children. With Jupiter in Sagittarius, these incoming souls will have the energy of Galactic Masters. These precious souls will work with the Rainbow Crystal children to hold the energy for the New Earth as we begin the process of Manifestation with the Indigo and Blue Ray adults. It will be important for all Lightworkers, to create a world in which each and every child is loved and supported. When we understand how the children support the processes of spiritual evolution and growth with their energy, we will see why it is so important that every child is loved and protected so that they might do their work for humanity. Work with the Children of Light to create the kind of loving and supportive communities that we would like to see. It doesn’t matter if we feel alone at first, every little energy helps to create a collective spirit of nurturing and love for these newly arrived souls wherever they are, so that they may do their work and emerge into their full potential as bearers of the crystal energy and the Unconditional Love of Source. As he crossed back and forth over the Galactic Center in 2007, Pluto was on a mission. This rare planetary transit was designed to help us explore the dark recesses of the subconscious where primal fears are stored. As the changes accelerate, moment by moment, we must choose fear or love. Pluto only makes this journey once in 248 years, so this is the chance of a lifetime to ride the Wave of Transformation. How do we navigate this sacred passage? Connect with the Source every day through meditation, prayer, sound and breathwork. Practice self-care: long baths, massage, acupuncture, aromatherapy and other healing practices. Get plenty of rest and exercise. Walk, run, hike or bike on the Earth. Swim in her waters. Sleep under the stars. We often mistakenly think that “service” involves the sacrifice of our own needs so that we may “do for others.” Remember that what we do for ourselves in these times also benefits the collective, because we are all one. During this passage, it’s especially important to identify and release patterns of addiction and co-dependence. These behaviour’s are ferociously entrenched in Western society where we’ve been taught to fear the Great Alone, the nothingness of the Void. Yet, it is within this singular point of creation that the power of the Universe is accessed and unleashed. Don’t be fooled by fear. Embody the Divine. Be in the moment. Embrace change. Don’t hold onto anything. Create ritual. Create a personal relationship with Source, request the assistance of the cosmos, the angels, archangels and ascended realms. Align, release and let go. The power of creation is yours. Finally, we have already mentioned the significance of the Jupiter transit through Sagittarius in 2007. This energy has also assisted each one of us to move into our own higher Master energies. Now is the time, to truly become Masters of Light. The expansive and loving energies of Jupiter have supported us and nurture us in our first steps as Masters of Light on the New Earth! Imagine a galactic energy beam focusing on Earth, awakening the codes of creation deep within your core. The dreams of a lifetime are carried on that beam. Planets aligning now will form this power portal with the heart centre of our galaxy throughout most of December 2007. Spend time alone each day, in silence. Connect with Nature. Paint that masterpiece you’ve been thinking about. Write that music, book or screenplay. Commune with the cosmos via the Galactic Center. Open to Divine Love. Gathering with family and friends at this time of year takes on new meaning. What do you cherish about your life? What’s important? This is a once-in-a-lifetime opportunity to focus your intent and manifest what you choose to create in the coming world age. Transcend illusion, let go of fear, Merge with Essence. In December 2007 on the path to 2012, this whole month is a quantum choice point. How will you move forward, and with whom? What are you leaving behind? Allow the creative/destructive force of the universe to flow through you so only crystalline truth remains. Create from there. In numerology, 2007 equals 9, a number of mastery and completion. Collectively, we’re completing a 9-year cycle that began in 1999, which also coincides with a major consciousness shift-point in the Mayan calendar, and in Western astrology. The explosion of Comet Holmes six weeks ago signals the end of an era as well. These and many others have served as wake-up calls that invite us to embody love and compassion in divine service. What has changed in your life during this time? What is coming to completion for you at the end of this cycle? If humanity is on the verge of a quantum evolutionary leap, as many indigenous and other spiritual traditions suggest, then this is a special moment in cosmic time to anchor that potential and create positive change as we manifest a new paradigm on planet Earth. There are many changes associated with The Harmonic Concordance. Earth changes include extreme weather and seismic activity, the shifting of continents and redrawing of coastlines. The Earth’s electromagnetics is changing. All Lightworkers, feel the changes acutely. Some of the symptoms cropping up right now are unfamiliar even to the most spiritually experienced, and they can be frightening. The physical symptoms are directly related to the incoming vibrations of cosmic energy, especially those emanating from the Galactic Center. As the planet Pluto, way out there in the fringes of our solar system, has connected repeatedly in 2006 and 2007 with the centre of the Milky Way Galaxy, we’re not only feeling the spiritual effects but very real physical effects as well. Even if you’re in good health, you may have headaches, nausea, insomnia, sudden weight gain or loss, fluctuations in body temperature, swelling, buzzing sensations, ringing in the ears, back and shoulder pain, joint aches, tightness or pain in the chest, mood swings, strange dreams and emotional outbursts, tiredness etc. These are some of the experiences we’ve been noticing and hearing about recently. Some are serious enough to warrant medical attention. As the intensity of this world-age transition heats up, many with chronic physical issues are experiencing major setbacks in their healing. Others are encountering catastrophic illnesses for the first time. Cosmic energies have been reaching us from the centre of our galaxy, via the portal of Pluto, to purify and recalibrate the Earth and her creatures, attuning us to a higher spiritual frequency, Divine Source, Love. Any part of us that resists this process – the upgrade to Pure, Divine Love – will be affected. Problems surface wherever we’re holding on or trying to, control our experience, either consciously or unconsciously. For example, how is your heart feeling these days? Have you had palpitations, tightness, indigestion, pain in this energy centre? Wild emotional responses? Problems with the physical organs connected to the heart chakra? The Galactic Center is also known as the Heart Center. Your physical symptoms are connected to opening the heart to higher frequencies of Love. From a cosmic perspective, this is a time of indescribable excitement as the Earth and humanity experience a spiritual ascension process. It’s important to maintain this perspective rather than getting caught up in fear about sudden changes in our lives and the symptoms we may be experiencing. Learn to surrender. Embrace change. Allow the energy to flow through your being. Practice love and compassion. Focus on what you choose to create, not what you need to release. Conscious breathwork, meditation, regular exercise, rest, proper nutrition and journaling are daily practices that will ease the transition. Body and energy work, Healing Therapies, aromatherapy, flower essences, emotional release therapies and creative activities and so on… will help you release addictions and integrate the incoming galactic energies. Pluto’s repeated conjunction with the Galactic Center 2006/2007, as well as planetary aspects to Pluto from within our solar system during this transit, are ramping up the energies to the fever pitch. You’re not alone in experiencing the intensity of this transition, and you’re not crazy. You’re aligning on all levels. Discover the tools and techniques that help you walk in balance during this important time. You are being supported whether you are aware of it or not. Contributions have been obtained with permission from Celia Fenn. To understand & benefit from her work properly, please visit her website’s. The Domino Effect A Planetary Ascension Process and How It Affects Humanity. Over the past 20 years, the Star Elders have helped us understand the synchronistic connections between the shifts, the bumps, and the awakenings of the collective consciousness of humanity. These bumps we feel are a part of an ancient code that activates a divine plan that triggers a planetary ascension process. The Star Elders feel that the year 2008 is the year that we will manifest the shift of the ages which they predicted 10,000 years ago. The Star Elders say that enough people on the planet are working with enough light that we have been able to tip the balance of the darkness back into the light. So, it was no surprise to me that in the last few months of 2007, all the puzzle pieces came together regarding the effects of this planetary awakening of humanity. This is why our lives have felt . . . well . . . so uncomfortable, to say the least. The Star Elders humorously refer to this planetary ascension as the Domino Effect. Remember when you were a child and you got that set of Dominos? Instead of playing the game, we all stood them up in a row, so when you knocked the first one down the others would quickly follow. This is why the Star Elders call this ascension process the domino effect. Because once you knock down the first domino, there is no stopping the rest from falling in succession. Such is our awakening process. Once we start the process to wake up, there is no turning back. You can’t fail once you begin the journey. You can’t slip back into darkness. It is impossible to unlearn the light. Let’s say that again . . . It is impossible to unlearn the light!!! The Star Elders organized all the symptoms and effects on humanity into seven simplified steps or what they call the seven dominoes. They talk about what happens to us, how we react to it and what does it really mean to us now. We already know that symptoms of awakening and ascension can be quite challenging and even painful. But what this article plans to do is to take some of the stings out of the awakening and put back the bliss and the joy in a process that we have long waited for. So, what might trigger your first domino to fall? What events might start the ball rolling so to speak? Many things can trigger the beginning of your ascension process. For some like me, sacred site travel (yearly trips posted on our website) has been a great trigger for me. My first trip to a Mayan site in 1986 nudged me out of my spiritual laziness so I would finally face myself and begin to ask who I was and why was I here. I have never looked back after that first visit to a sacred site. For many of us, meditation can also trigger and accelerate the ascension process. For others, it might be practicing yoga. For some, it might be a book or article that triggers you into remembering. Others might be triggered by things like sacred site essences, (sacred site essences posted on our website) or even a photograph of a sacred site that they had spent a past life in. But many time’s a huge life challenge or trauma can crack us open to the brilliant light inside of us can begin to leak out. Through great trauma and loss, we begin to reach for a greater meaning to life. This is a sacred wound and a Shaman’s path. Eventually, you remember that you never were in the darkness . . . you just forgot that you were in the light all along. The Star Elders showed me the self-justifying creative force that the universe was beginning to manifest on the planet. It manifests bit by bit. The more this energy washes over the planet, the more effect it has on humanity. Anything and everything that is exposed to this creative energy is literally forced to come back into alignment and in harmony with the laws of cosmic nature. This energy can cause all kind of interesting weird and often sometimes undiagnosable symptoms. An incredible amount of spiritual fuel is being used for this ascension process. We are literally being turned inside out and being pushed to the limit. Every ounce of our energy is being used. This is why we feel so incapable to cope with stress. The entire planet and every living thing are self-justifying right before our eyes. This is why we are feeling so much pressure in the world today. This is why we are so bored with life. This is why we are in such a hurry. This is why we are so confused. This is why our body is giving us such problems. The good news is that our spirits are really ready for this ascension process. In fact, our spirit can hardly wait to get there, wherever that is. Your spirit was ready . . . yesterday! Your spirit doesn’t have to deal with time, gravity and other laws of nature in the 3-D world like your body does. This is why having a vision is such a joyful event . . . but working to make it manifest can be a huge drudgery. Your spirit is like a racehorse at the starting gate stomping its foot in frustration. The 3D mechanical mind that runs our body is our spirit’s biggest challenge to overcome because our body is holding spirit back. On the other hand, your body is struggling to keep up with your spirit. But this is the age where we are to ascend with not only our spirit but also carting our physical body! We have never ascended so completely towing a body along before. In the past, we usually dumped our heavily programmed bodies and started over. This also explains the huge amount of catastraphobia in the collective consciousness right now. Your body remembers that we dumped it in the past. But this time we are not going that route. Your spirit uses non-linear organic energy and intuition to manifest and to grow. It relishes in the unknown and likes exploring unknown territory. It isn’t restricted by history or past experience or fear of the future. Spirit is very much like an innocent curious child that is eternally in the present moment. Your material body uses linear mechanicity, programs, patterns and history to maintain the body to keep itself safe. It is rarely in the present, and it sends out warnings about the future. When we begin to ascend, all that our body knows from past experience begins to shift. Our body literally freaks out, as it does not understand the unknown territory it is entering into. Our minds wildly race to look for relevant programs to use. Unfortunately, all your body knows is what has been in the past . . . and what we are moving into is a new future which does not use the old programs. Today, right now at this very moment, we are stepping into the future. Many and I dare say, most of the old programs we have used, do not apply anymore. It is like trying to use a “DOS” system in a “Windows XP” world and Windows XP will soon pass for more advanced programmes just as we rapidly adapt to the new energies coming in. It is time to see the world as a little child because much of the past programming has become obsolete. So below is the Seven Domino Steps. Remember that we will rarely do each step in perfect succession, one to another in a nice orderly fashion. No one ever said that waking up was going to be an orderly process, did they? You usually start with the first domino and then you may jump to the second and the third, while the first one is still evolving. We feel a tremendous amount of stress for no apparent reason. Our minds can get very busy like a thousand radio stations going at once. It is hard for us to meditate. We don’t sleep well. Generally, we can feel rather burned-out but we don’t want to slow down. You can make life choices that rarely work out for you the way you expected. Life feels like a head-on collision. Remember, you are not the only one feeling this. 100% of humanity is doing this one whether they admit it or not. A new higher vibration begins to flush out the denser energies. This is not a fun process. It can cause depression. We can have vivid, wild and violent dreams. We can become catastrophobic and paranoid. We open our eyes through a collective haze of denial. We see for the first time a larger picture of the world and realize that we are not as physically safe as we might have thought. We might find ourselves taking survival classes, moving to a supposed safe area, and reading conspiracy theories. We might buy into negative prophecies of a doom and gloom future. We know the stories . . . the “world is going to end” and “we are all going to die” kind of scenarios. Many go through a dark night of the soul at this point. This clearing of the inner temple is releasing many lifetimes of lower vibrational energies and catastrophic past life histories. We will most likely do a lot of releasing at night in our dreams and we can wake up feeling like a truck hit us. This phase of the ascension process can make us aware of the chasm between who we really are and what we see in the mirror . . . triggering a deep grief and overwhelming feeling of loss. We might be obsessed with self-criticism. The good news is that our feelings are clues to our awakening! When we remember who we really are, it also means it is now possible to BE that powerful lighted one and we can restore that heaven on earth again. This phase of the ascension process can cause physical, emotional and spiritual overload . . . causing heart palpitations, feeling restless, sleeplessness, headaches, ringing in the ears, dizziness, exhaustion, nausea, and feeling faint. Tightness in neck and shoulders is a big symptom of this phase. We need to sleep more . . . a lot more. We may experience electrical disturbances with computers and other electronic devices. Does blowing out light bulbs sound familiar? During this phase, we can be a bit narcissistic as we get a glimpse of who we truly are. We begin to feel how powerful we are. We begin to feel the inner wisdom rise up in us. We, as they say, “see the light”. If we are not careful, we might take this personally and begin to spout off that we are the second coming and are here to save the world! In a way, you really are the second coming . . . but you are not the chosen one. You are one of many awakening ones! Awakening Kundalini energy causes frustration as we are vibrating at a higher rate and we have to wait for the outside world to catch up. This can feel like it is taking forever. We almost want to give up. Awakening Kundalini energy can also make us feel lost, alone and separate. While knowing we are connected to everything, we still can’t seem to find HOME. We might find ourselves moving home base when the Kundalini domino is at work. Sadly, it might not feel good anywhere we go and we worry that we will find no place left on Earth that does. Everything feels just plain sickly. We feel no personal security and we might feel unbearably vulnerable. Personal relationships and all areas of life can be polarized to the extreme. As our energy becomes more powerful, we might have sudden shifts of interests of friends, activities, habits, jobs and homes. We find ourselves ending relationships that were out of alignment with new energy. Remember . . . like energy always attracts energies. We find that people and surroundings that no longer match our vibration will simply go away. As we evolve higher and higher, this phenomenon becomes more obvious. Remember to Breathe and let go. Live and let live. This domino makes us understand the true meaning of surrender. Our ego is simply an illusion we have about ourselves. Our ego tells us who we are and why we are here based on programs and old, outdated history. Our ego is not based in spirit. The dying of the ego can cause anxiety, panic and feelings of hysteria and anger. We will feel a loss of interest in current goals and loss of sense of self. We might feel as if everything is dissolving from us and most of everything is! We might feel out of control, vulnerable and powerless, with no frame of reference for what is appearing ahead of us. Many feel worthless and think they have nothing to offer the world. We can feel like we may never find our life’s purpose. Many are feeling like they are going to die or want to give up. These mechanistic patterns and behaviour’s that we are losing are not needed in the higher realms. Could it be that we are dying to the old ways of being and letting go of our attachments to this world, so we can move on to the next? Yes, it is! It is here that a profound level of unity births inside us. In this Phase, the Saviour evolves into a unified whole linked with a wave of awakening humanity that by the way . . . will save the world! Remember that the load you seemingly carry may very well be the light and the way for many others to follow. Once the old ways of the ego begin to disappear, we begin to cross . . . THE BRIDGE . . . a GREAT DIVIDE. We begin to enter a space where all time, space and dimension coincide all at once. We might have unusual aches and pains throughout different parts of our bodies and intense allergies. We might experience dimensional and future doorways either by seeing or hearing them. We won’t have the usual compass to guide our lives. We are in between realities but not integrated and there is no time to integrate in. We might feel disorientated, not knowing where we are and feel a loss of a sense of place. We might begin to have unusual visuals in the inner and outer worlds. We will have weird dreams where we find ourselves healing past atrocities. Atlantis, Maldek and other massive catastrophes in our past are being cleared out. We will feel painfully aware of things that are out of balance with a natural cosmic law like war, hunger, abuse, pollution etc. We will begin to feel a deep urgency to do SOMETHING – ANYTHING but won’t know what that is. Now the outside world does not remotely match the way we are now vibrating. Everything feels so heavy. We might feel morning sickness like nausea and vertigo. The planetary gyroscope is being rebooted. We might feel an unplugged feeling when we actually move through and touch the other side. We can’t describe this with words. We are meeting soul mates after long and fruitless searches. Memory loss and difficulty accessing words is an issue. The English language is dualistic and cannot move forward with us into a world of higher frequencies where duality cannot exist. So, as we begin to Ascend, we will have more trouble with words. This makes it really interesting trying to have a conversation . . . unless the other is also at this level. We will find that working in a linear manner is not happening at all at this stage. We will find that we feel scattered at our work and become like a butterfly skipping between one focus and another. We feel compelled to do things that are not necessary or practical and usually find ourselves doing the un-practical. We think we are wasting time and then we feel guilty about this. We find ourselves in a cycle of re-scheduling, re-working, re-ordering and re-organizing because we need recovery and revitalization. We need to re-focus and are screaming out for re-assignment. We find that for the last time we are faced with long forgotten old dramas, old rivals and attacked by old enemies. Many of these old riffs, which we have given up on, have resurfaced so they can heal . . . and some actually do to your amazement! We are bombarded with vague clues that don’t make sense and feel twisted. The feelings of waves of nausea are more intense this time around. We could have ringing in the ears in multiple frequencies, lung issues like we cannot breathe. We feel like choking and have strange hoarseness, which is creating oxygen level drops in our bodies. Do not hold your breath – BREATHE – BREATHE – BREATH! Lower back issues and all over aches and pains have come back and we could feel dizzy . . . like someone shoved you sideways and feel like we can’t stand up straight. Plus, we can’t seem to stop yawning! At the extreme, there may be a rise in many choosing not to stay here any longer and many are in the process of saying “goodbye”. Many people, who never get depressed for any reason, are feeling like quitting life. Quitting life is just what we need to do in order to make this shift. If we hang on to what we have known, we close doors to what is out ahead of us. I am not saying to end your life. NO WAY. You came here to see this shift and all the amazing things that we will experience together. What I am saying here is that we are losing our attachment to things and this world. This is why you are becoming bored and want to quit. This really is a good thing! You will always get what you’ve always got. Remember . . . what you create is what your entire being is telling the universal creative force. When we begin to shift, it is important for us to . . . STAY PRESENT. We can’t create anything if we are worrying about the future or feeling guilty or remorseful for the past. Remember neither the past or the future really exists. So, spirit does not understand this. STAY POSITIVE . . . but stay real to what is going on. Remember . . . ALL FEELINGS are CLUES to something. Do not judge them – learn from them. Make sure we “don’t water the weeds!” BE OUR AUTHENTIC SELVES . . . the world is full of imitations and well-worn paths. BE OPEN HEARTED . . . staying in our HEARTS is the only way to shift this world into a paradise. TRUST YOUR CORE no matter what the outer world says or does. I will judge my success by how well I live my truth, not by how well my truth is received. Remember that the Earth is going through this process also. So, if you are way ahead in this process, or way behind, you will still feel what the Earth is doing also. I love this because it is a great harmonizer and keeps us out of our egos while we learn to be a harmonious family once again. Unfortunately reading this article will not make this process easier or even more blissful but at least we know that we are not going crazy. Some ways to get through the biggest bumps on the ascension ladder are the simplest according to the Star Elders. Remember nature is emotionally neutral so breathe lots of AIR, drink lots of WATER and get out and walk on the EARTH and let the SUN shine on you. Nature heals and harmonizes. Also, things like Energy Healing, homoeopathy, essences, checking in with like-minded friends, yoga, meditation, sweat lodges, OK I’ll even say chocolate and going on a spiritual journey (with Aluna Joy’s wild pilgrims 🙂 all can help ease the physical shifts while you ride the wild ascension roller coaster. Since we entered into the year of 2008, the year the Star Elders said we would reclaim paradise and make the shift of the ages, I have felt anything but that the energies have gone from intense to off the chart. Many are telling me the same story over and over. We have seen more dark dramas played out in our lives recently than we have in our entire lives. We have relived old Atlantean dramas right down to personal family karma. It has nearly taken over our awareness and our lives. We feel we are drowning in the dark energies of the world, and it is suffocating. We are being awakened in the night with huge waves of bombarding energy causing us anxiety. We are getting hit so hard that we fear that we may get pulled under the powerful currents and go down for the count. We are not getting answers from the outside anymore, and we feel like islands instead of the communities that we crave. We have had a lot of loss. Many have crossed over to greet us from the other side. We wake up each day surprised we are still standing here. The world has become increasingly stranger by the day. We are feeling an increase in dark, mis-qualified energies while feeling a simultaneous increase in the light. We know we must stay diligent and stay focused in the heart. We can see clearly now what is out of integrity with the world and our lives. We have learned a lot about spiritual anger and how it is not a good thing, even if what we are fighting for is a righteous battle. We go from fogginess, despair and hopelessness to great windows of clarity and immense inspiration. Are we confused? No . . . we are just ascending! It was in one of these windows of lucidity and inspiration that I had a glimpse of cherished clarity. I woke up with the smell of sweet flowers in the room, yet my heart was full of heavy, negative thoughts that is so unlike who I AM. This is the message that I received . . .
Jeshua said . . . “We all know that you are to become Ascended beings, Yes? So, what happened to me (Jeshua) just before I made the ascension?” Then his story played out like a movie in my head. I saw Jeshua take upon himself the sins of humanity (a.k.a. negative egos – mis-qualified energy – dark forces, etc.) They felt like a heavy, unbearable burden. It was the cross that he had to bear. He did not just carry them, he owned the feeling as his own. Then he transformed them with his inner light. He didn’t DO anything but KNOW who he was and BE it. This knowing, the “I AM that I AM” transformed the atrocities of the world he was carrying. He then forgave the miscreation’s of humanity, and for the pain it caused him. Then he ascended by embodying the 13th code. Could we be doing the same thing as Jeshua did, right now? 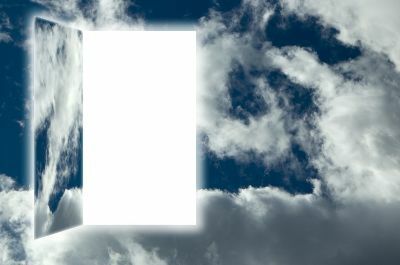 If we are feeling the crunch of the world’s darkness upon us, could it mean we are at ascension’s door right now? This could explain why we are feeling these things today. Is this the last of the last step before paradise? Are we about to embody the 13th code? Over the course of many years, I have explored many past lifetimes by walking backwards through past timelines. I began by exploring my most recent past life in the ancient sites of the Maya. This was the last place the Star Elders incarnated. In 1990, I had a huge vision of the 13 codes, but at the time I did not understand what they were telling me. In 1996, I went further back in time to Peru . . . the place where the Star Elders and the Brotherhood of the Seven Rays incarnated. I received more pieces to the puzzle, but I still could not see the whole picture. The 13 Codes of Ascension The original vision of the creator, and how we fell from Paradise (a very brief accounting). The fact is simply this . . . we were not born here . . . we fell into this life. Bit by bit we fell. Our awareness of unity, oneness, and how to use the creative power of the universe was lost bit by bit as we fell into our denser, Earthly body. Some of us remember screaming all the way as we fell. This is not a fun process. We fell through the 13 codes. We made it through all of the first 12 codes. We almost embodied the 13th code, but the fall of Atlantis forced us to reschedule this event for a later time. That time is now. The 13 Codes of Ascension – This Is How You Fell Here. In code 2, the creation of a dimension took place. It created a base location, of sorts, for life. All of the creation was still untied in this dimension. In code 3, the dimension split creating multiple, uncountable dimensions. It also created duality; the light and the dark, the right and wrong, etc. Space was created and space grew between dimensions. All of us living on this planet now are in this one dimension and are only slightly aware of the other realities. In code 9, the mind and consciousness were created. Along with it was the ability to put to use the creative power. In code 10, finally, the physical body was created. This was to be a tool in which we could create with consciousness and physical reality. The issue is that we tend to identify with the limiting, physical body as who we are. It is not so. Also, code 10 created beginning and endings, cycles of life, and birth and death. In code 12, we began to work with collective creating. Here humanity learned how to cope with the issues of creating together through trial and error. Yep, you guessed it…. this is where we are right now. In code 13, we finally arrive fully into life and back to ONENESS all at the same time. But here is the catch . . . You see, we have not been fully born into life yet. This is why you always feel something is missing or think there should be more to life than this. The loss of this missing code has also driven you to search for it. Could this be where the Christian’s idea that we need to be “born again” came from? Code 13 is the collective ascension back into ONENESS. It is a rebirth into a higher plane of existence while in a physical form. This is what we feel is missing and continue to search for. 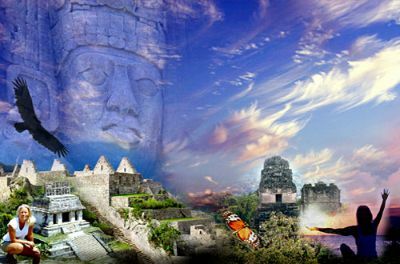 This is a time that the Ancient Maya foresaw and recorded with the grand calendar cycles. This is why you and I are here . . . to reclaim that code! This was a grand plan of the great creator (by the way, this is the US, collectively) was to let go of everything that we knew as the one to enter a new physical reality. In the letting go, we will gain a higher plane than we had before and new higher cycle. We embarked on this grand journey with great courage and with little or no memory of the ONE, of where we came from, or of what we lost. The grand plan was to experience a vast and extensive journey of re-discovery of universal truth and oneness. We wanted to challenge ourselves to recover the Light and the Truth with only the faith of a mustard seed. There was a tiny seed of light which was still inside of us when we completed all 12 codes. This is an inner light that we all have within, and which we have nurtured and developed. The question was . . . could we get back to Oneness while in a physical body? As we enter the 13th code, there will be no path to follow. It will be confusing, and we will have to trust ourselves . . . our HEARTS. Our ancestors did not go here, so they will be no help for us. Gurus, teachers and prophets will not be any help either. But they have taken us this far. Thank you. We are all in the same boat now. We all are seeds of light . . . the light keepers that will bring in and anchor the last and final 13th code. This may very well be a reason why you were called here at this time. They say this is why you are reading this now. At the time of the fall of Atlantis, and the mass migration to Egypt, a vital key to manifesting the 13th code of creation on the Earth was temporally lost. This cataclysm in the past is still affecting us now. Our world is drowning in this catastrophobia. It is our job not to feed this illusion in any way. The betrayal, abuses and attacks we suffered in history can return to fear and thus confuse the truth. These fears are just old memories returning to be cleared out. This is our cross to bear as we come back to the one and embody the ascension of the 13th code. Remember our heart is the truth absolute, and the ONLY TRUTH. Excerpts have been obtained with permission from AlunaJoy and are under ©. To understand and benefit from her work properly, please visit her website. The energy shifts continued with regular planetary configurations that supported the changes that were being instigated on the planet and within us as individuals. People were starting to adjust their relationships, leaving long-term partners perhaps and finding the person who they were supposed to be with to support each other in the new energies. Career changes and other major shifts in all areas of people’s lives took place as a rapid adjustment of energies occurred. The rare event of Twin Flame couples being brought together in service suddenly came about with them being brought together for the final clearing of their own unresolved negativity first before helping others. This would push the mass consciousness considerably to overcome the great difficulties within relationships created by the ego mind. Groups of people with like vibration and with a sense of spiritual service to others were brought together. Those who were feeling the shift taking place were pushed to work on themselves and seek help from energy healers and other alternative therapies after becoming dissatisfied with mainstream health treatments. Around the world, people were finding their voice as their hearts opened and they stood up united as one to condemn their leaders, speak out about that which caused them dissatisfaction in their way of life, how they were being governed etc. There was great chaos around the world it seemed, as huge numbers of people in countries seemed to rise up and decide enough was enough and demanded change in the way they were being treated. More and more secrets and information that had long been hidden from the general public became visible as corruption and wrongdoing became apparent within governments, financial institutions and elsewhere as the new high vibrational energy flooding in brought light into the darker areas in the world. All we have to do is turn on the news to see that we are in the midst of a very tumultuous time on this planet. Challenging and even catastrophic things are taking place in every facet of people’s lives. It is very easy to feel overwhelmed and fearful about the future and what is going to happen to us and our families. Unfortunately, our fear just compounds the problem and motivates us to cling to the old paradigms that are surfacing to be healed and transmuted into Light. Even if our old behaviour patterns and our previous ways of thinking and acting have made us miserable, at least they are familiar to us and we know what to expect. As the expression goes, better the devil you know than the devil you do not know. This attitude is common, but nothing could be more counterproductive during this time of transformation. Contrary to outer appearances, the things that are occurring all over the world are not going to destroy Humanity or the Earth. These horrific things are coming up to get our attention and to motivate us to find a better way of interacting with each other and the Earth. We have been buried in our own self-inflicted pain and suffering for so long that we are numb. We have fallen into the destructive habit of using extreme pain as our motivator. Unless something catastrophic happens in our lives, we just muddle through each day without paying much attention to what we might do to make things better. However, when something disastrous happens in our personal lives or on the planet, we start scrambling around to see what we can do to correct the situation. The devastating environmental disaster occurring in the Gulf of Mexico at this time is a prime example of this Truth. We have known for decades that oil and coal are polluting the planet and wreaking havoc on the lives of people everywhere. Time and again, awakening souls have tapped into the Realms of Illumined Truth and come up with clean energy sources and technologies that would eliminate our use of oil and coal. Because of the power and money associated with the oil and coal industries, these new methods of energy have always been suppressed and hidden from the mass consciousness of Humanity. People have come to the erroneous conclusion that we must have oil and coal in order to survive and maintain our livelihoods. Even now, with oil destroying the precious wetlands and ecosystems in the Gulf of Mexico, many people there are upset that President Obama has called for a moratorium on deep-water drilling. This is a graphic demonstration of Humanity’s distorted perception at this time. Our lives are so interwoven with the very things that are causing the problems on Earth that we feel we must perpetuate them in order to survive. This illusion is the direct manipulation of our fear-based, fragmented human egos. Our lower human egos believe that the physical plane is all that exists and that our purpose and reason for being is to gratify our physical senses. Our human egos are aware that we are awakening and that our God Selves are beginning to reclaim dominion over our lives. Our egos are fighting tooth and nail to prevent our God Selves from taking back the power this wayward aspect of our personality usurped after our fall from Grace aeons ago. Breaking the bonds of the paralyzing grip our human egos have had over us for lifetimes is the next critical step in the unfolding Divine Plan. An activity of Light that involves the God Selves of all Humanity and the entire Company of Heaven is now underway. Please step back, take a deep breath, and release any fear your human ego may be using to try to manipulate you. Allow the Divinity within your heart to expand and expand as you read these words with an open heart and an open mind. Miracles are happening and we are receiving more assistance from the Company of Heaven than ever before. For some time, the Company of Heaven has been telling us that one of the greatest needs of the hour is for awakening Humanity to attain our financial freedom. This is a vital and necessary facet of the Divine Plan. The viable solutions for all of the maladies existing on Earth are beginning to flow from the Realms of Illumined Truth into the hearts and minds of Humanity. In order to bring these powerful solutions into physical manifestation, awakened people with a higher consciousness need to have the financial support to bypass the old paradigms of greed and corruption. It is the abuse of money and the compulsive greed of our human egos that have caused the appalling poverty and the inequitable distribution of wealth on this planet in the first place. The Beings of Light have confirmed that at this very moment there are patterns of perfection in the Causal Body of God that contain practical solutions for every negative situation manifesting on Earth. These include solutions to our energy crisis, pollution, global warming, disease, poverty, crime, ageing, hunger, homelessness, war, and every other human miscreation. Amazingly, there are people who have been manipulated by their human egos into suppressing the knowledge and the technologies that are available to solve these problems. Through their limited, fear-based consciousness, all these people can see is what will happen to their present financial situations if these problems are solved. For instance, what would happen if all of a sudden disease and the degenerative process of ageing were eliminated from the planet? Imagine the number of people who would be out of work: doctors, nurses, hospitals, nursing homes, rehabilitation centre’s, pharmacies, drug companies, medical insurance companies, and all of the workers who support these industries. Millions of people have a vested interest in keeping us sick. What would happen if war was eliminated? If you will remember, just before September 11, 2001, and the manifestation of the Afghanistan and Iraq wars, there was a lot of talk about having to close some of the military bases in the USA for financial reasons. This was causing a great deal of concern for military personnel. Look at the millions of people who would be out of work if our military complex and the war machine were no longer needed. There are millions of people who have a vested interest in perpetuating war. What if Humanity remembers the Oneness of Life? What if we all recognize the Divinity within each other, and we truly develop a reverence for all Life? Crime, corruption, violence, greed, and everything associated with the criminal aspects of our present existence would be eliminated. Think of the number of people who would be out of work if we no longer needed the criminal justice system, police, security officers, prisons, prison guards, criminal lawyers, et cetera. What in the world would we watch on television or in the movies? It is interesting to observe that since many of the prisons in the USA have been privatized, the population of the prisons in this country has more than doubled. Prisons cannot succeed as a private business without lots of prisoners. There are millions of people who are vested in keeping crime alive and well. When we ask people if they want to see disease, war, and crime eliminated, they usually say of course. But when their livelihoods depend on these things, they are afraid of what will happen to their financial security if these conditions cease to exist. That fear creates an underlying need that perpetuates the painful things people say they would like to eliminate. We are so accustomed to living with disease, war, and crime that we think they are normal. We cannot even imagine living without them. The concept of a world without these maladies seems unrealistic and far too good to be true. Our Father-Mother God and the Company of Heaven are striving to remind us of the fact that these terrible things were never part of our Divine Plan. We created them through the misuse of our thoughts, words, feelings, and actions and they are being perpetuated and sustained by our fear-based human egos. It is time for us to stop this insanity. It is time to turn things around. We must free ourselves from the paralyzing grip of our human egos and raise our consciousness. Instead of looking at the outer world and coming to the erroneous conclusion that this is all there is, we need to see the bigger picture. WE ARE CO-CREATING THIS REALITY!!! Everything existing on Earth at this time is the result of Humanity’s collective consciousness. If we do not like what is happening in our individual lives or on the planet, we can join together and co-create a new reality. Our task is to have enough of us focusing our attention on the patterns of perfection for the New Earth to reach a critical mass. When we lift our consciousness, we realize that we can tap into the patterns of perfection in the Causal Body of God. We have the ability to co-create wonderful new ventures and avenues of employment that will secure our financial freedom while blessing and enhancing all Life. We do not have to limit ourselves to the parameters of what currently exists on Earth. We do not have to perpetuate pain and suffering just so we will have enough money to survive. This distorted belief is a trap that our human egos created in order to control us. The quandary we are in at this time is that we are Ascending into the 5th-Dimensional Realms of Light. This dimension vibrates with the frequencies of Gods Infinite Perfection. Every frequency of vibration that is less than the harmony and balance of God cannot exist in the 5th Dimension. This is why all of the prophecies that describe the New Earth indicate that there will be no pain or suffering; no ageing, disease, or death as we know it now; no poverty, hunger, or homelessness; no war or violence. This miraculous transformation is not going to occur because someone waves a wand and magically does it all for us. It is going to occur because you and I and every soul evolving on this planet remembers who we are and our purpose and reason for being. We are co-creators. It is time for us to reclaim our Divine Birthright, which is Gods Infinite Abundance. This will allow us to let go of the belief that we have to perpetuate the maladies on Earth in order to have enough money for our survival. The key to accomplishing this goal is bursting the bonds of our manipulative human egos. That is, in fact, the next step of our unfolding Divine Plan. We are now living in ‘end times’, that is the end of the Aztec and Mayan calendars, the end of the outbreath of Brahma, the end of a 26,000-year astrological period and the start of a new era. A cosmic moment occurs at the winter solstice in 2012, an instant of universal silence, which offers an unprecedented opportunity for divine inspiration. In addition, three planets are configured to interact at the 2012 solstice. Neptune, which represents higher spirituality, Pluto transformation and Uranus change. As the energies they represent work together, it will cause a massive impact on the consciousness of the planet. This offers a potential for a huge shift in consciousness. Of course, such high energies can equally be used for bad if used unwisely, which is why everyone is called on to heal their emotions and thoughts now and use this great opportunity to change the planet. Individually and collectively there has never been such an opportunity for spiritual growth. What Can I do To Bring About the Changes for 2012? Bring your own life into peace and harmony. Your energy will then automatically lift the vibrations of everyone with whom you come into contact. Recognise that everyone is equal and treat them as such. Honour all the forms of life on the planet from rocks, insects and plants to animals and humans. Give no energy to fear, darkness and mass hysteria. Instead focus on the good, the wise and great, so that it expands. 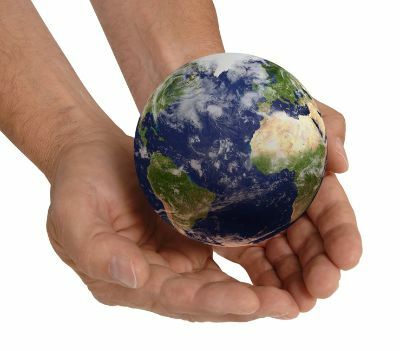 Visualise everyone throughout the world holding hands in peace. If enough individuals do these things, the consciousness of all must inevitably rise. Are There Any Crystals Which Will Help Me Prepare For 2012? In Discover Atlantis, we explain about the crystals which have been provided and energised for the higher energy. There are four which will help you to prepare for 2012. If you can carry them with you at all times, they will subtly work on your chakras. Calcite (any colour) which will help to open your Stellar Gateway chakra. Selenite which will work with your Soul Star. Kyanite, which will help to re-align your mind and brain for the higher energy. Hematite, which will help bring the divine energies into your bloodstream, so that it spreads through you. A number of things have been happening to prepare us all for a higher way of being so that we can eventually bring back the energy of Heaven to Earth. This is a long slow process and will not happen overnight but Lady Gaia has decreed that Earth will become once more a fifth-dimensional planet. Pulses of light are being beamed to Earth at increasing intervals. Light contains spiritual knowledge and information. Higher Angels of Light are flocking to Earth. Apart from a short period during the Renaissance, many were withdrawn. Wise old souls are re-incarnating to help with the shift. Indigo, rainbow, crystal children, the enlightened ones are incarnating. Powerful energies that were withdrawn at the fall of Atlantis are being returned to us. These include Reiki, the Mahatma energy, the Violet Flame, the Gem Rays and others. Special energy came in with the Harmonic Convergence and Harmonic Concordance. The double Venus transit is starting to balance the masculine and feminine energy on Earth. The Dolphins are making their presence felt. The Angels of Atlantis have returned to Earth to seek people to work with them to bring back the energy of Atlantis. The Unicorns are appearing. The twelve rays have anchored on Earth for the first time since the fall of Atlantis. The planet is detoxing, throwing off negativity and stuck karma, through earthquakes, hurricanes, floods etc. December 2012 is getting closer and the frequency has already risen so much that many sensitive people are finding it difficult to cope with the energy. It may mean that you feel shaky about things that would not have worried you before. You may feel unusually sleepy, tired, tearful or irritable. This is part of the adjustment to the higher energies which we will be expected to live in after that date. In preparation for living in fifth-dimensional energies, personal, family and country secrets are surfacing, so that they can no longer use up our vitality, for it does take a great deal of psychic energy to lock something away whether or not it is conscious. All must be cleared. People are getting away with less and less. Politicians and business people are being caught out because what was acceptable is no longer. Fearing they are losing their power they are trying to control the masses, economically, with red tape and by limiting free choice. However, citizens of the world will not accept such control when the fifth-dimensional energies of 2012 are fully accepted. A change will be inevitable and it is the responsibility of lightworkers who have attuned to Source, to act as beacons for the masses and help to minimise any disruption. Many people are already feeling the urge to move to new locations which have been prepared for them by a spirit with the vibrations of the next stage of planetary evolution. If you feel a calling to be somewhere, recognise that it is spirit talking to you and follow your heart. For example, we were sent a series of orb pictures of unicorns, angels and Masters visiting an area in South Africa and were told they were raising the frequency of the land and the houses so that fifth-dimensional people could live there. They said many would move here and some had already arrived to seed one of the communities of the future. For the first time in the history of the planet, the global consciousness is shifting within the space of a lifetime. It is a massive and awesome opportunity for spiritual growth. People are expanding their awareness daily and are starting to ask questions. The twelve chakras are beginning to wake up very quickly so that more people are becoming enlightened and are connecting with Source. New archangels have been appointed to help us and the planet with this journey. I am often asked what will happen after 2012. Some are scared that it will all end at the winter solstice, 21st December 2012 but that is not the intention of the spiritual hierarchy who are orchestrating the great shift. My understanding is that everything will accelerate. It is rather like quickening in a pregnancy and in this case Earth and all who are incarnated here are preparing to give birth to a new Golden Age and life on an ascended planet. Yes, this does mean that Earth changes will be more severe but if you are listening to your guides and angels, you will be in exactly the right place for you and your family. Nothing will happen by chance and many of those who can no longer sustain a third-dimensional vibration in a fifth-dimensional world will choose to move on. Their souls will seek another experience in a different third-dimensional planet and the prayers and blessings of those who remain will assist them on their journeys. Golden Atlantis became so pure and powerful because the inhabitants all co-operated with each other for the highest good. This is what we are called on once more to engage in. This time it will be the world, not just five islands. We are expected to act for the highest good of all. The spiritual law of the fifth dimension is, ‘Do as you would be done by.’ Happiness, joy, inner peace and a sense of belonging and safety are the results of this. And it inevitably means honouring nature and the animal kingdom. Possibly the most important thing will be to be ourselves. We need to recognise who we truly are and allow our magnificence to emerge. Then we can walk through 2012 with confidence, knowing our angels and guides are with us every step of the way. In January 2013 those of us who are still here on planet earth has experienced the dimensional shift onto the new world and we have entered the great void. This is a four-year holding pattern to allow us time to reboot and recalibrate our energies to adapt to the new much faster heart energy frequency we find ourselves in. We have let go of the 3rd dimension (the mind) and the planet has shifted into 4th dimension (the heart) on its way to 5th dimension (Christ Consciousness). We are experiencing many changes, our 3rd-dimensional coping mechanisms have stopped working, like old programmes that are no longer compatible on a new computer, the behaviour patterns that once made us feel safe no longer provide the comfort they once did. Our relationships become strained as we find ourselves in different heart frequencies to those partners, family members, friends and so on that we used to consider ourselves to be so close to or who we were able to previously tolerate. Our Karma and the law of attraction has accelerated and our experiences in our lives bring us many lessons at an accelerated speed. All these changes that have started to come in are making life very stressful for us and we see this happening on a global scale as well as on a personal one. In 2014 the energies are still bringing difficulties, after an extremely stressful 2013 we are very slowly adapting to the heart frequencies. This is also another stressful year for most people who are still experiencing the fallout from the dramatic shifts and life changes that occurred for them in 2013. As we shift into a 5D reality of heart-centred unity consciousness, let us decode more myths about ascension as a way of fulfilling the Divine’s highest destiny. When not taken literally, ascension represents a point in history where an entire civilization undergoes a spiritual evolution that so many prophets, masters, and avatars had foreshadowed before. Throughout this process, it can be a bit confusing, or even frustrating, when a long-awaited arrival into a new spiritual paradigm feels as tumultuous and daunting as the old world you may be hoping to transcend. As we explore ascension as a new energy that raises the vibration of the way we think, feel, and behave, it is a time to relinquish beliefs in personal control, including each misunderstood notion of the law of attraction. When not trying to control what happens, you are able to harmonize with your current circumstances as divine catalysts ensuring your highest growth and evolution. It’s not as if the things you desire don’t matter. It’s more that life is focusing its attention on anchoring the highest vibration within your field so you can support the awakening of others, while establishing the proper energetic alignment that brings your destiny to you, instead of you needing to chase after it. While a new career, greater abundance, a move to a new location, radiant health, or even a new relationship are all creations that can be chosen in a quantum 5D reality, it cannot be confused with what occurs as you enter the 5th dimension. I like to call the stage of entering 5D reality “the great absence”. Instead of being tossed around by the highs and lows, or ups and downs of polarity, 5D is where the extremes of opposites balance out. In the 3rd dimension, the tendency is to seek the higher end of polarity, while making enemies out of the lower spectrum of experiences. Whether it’s seeking happiness as a way of being farther away from sadness or looking for endless forms of security as an imagined remedy for fear, such tendencies are likely to increase the activity of polarity throughout your life until the grace of a spiritual impulse invites you inward. As a spiritual journey unfolds, you make your way through 4D reality by moving back and forth between the highs and lows of energetic expression until you even out in the middle. Once settled in the middle of polarity, both sides dissolve. As both sides of polarity vanish, you enter into the great absence, as a phase of initiation into the 5th dimension. Such an initiation of emptying out occurs, so you enter the 5th dimension with nothing binding you to 3D or 4D reality. Without any subconscious associations or energetic attachments to 3D or 4D realities, you are like a spiritual infant entering a brand-new world with a mind open, and receptive to possibilities unlike anything experienced in the past. When this occurs, it can feel like the absence of both highs and lows, which for the ego, is labelled as depression, instead of being seen as a profound spiritual breakthrough. Whether felt as emptiness, or the absence of preferred states of being, it is common to feel frustrated, sad, lost, hopeless, bored, exhausted, apathetic, withdrawn, uninspired, and even suicidal throughout the emptying out process. When feeling uninspired, lonely, frustrated or bored, these feelings also signify a detoxification process where you are purging your attachment to finding validation outside of yourself, as you create the space to discover the true depth of fulfilment that comes from within. No matter how it plays out in your reality, the best way to move through this crucial stage of existential despair is to remind yourself that you are crossing an important spiritual threshold, instead of viewing it as a problem to resolve. While you are able to feel more joy, experience greater synchronicity, be healthier, and more integrated, and manifest abundance in magnificent ways throughout the 5th dimension, entry into 5D reality can often seem confusing, disheartening, and often emotionally or physically debilitating. This is one of the reasons I have been brought here to offer you the practice of loving what arises. 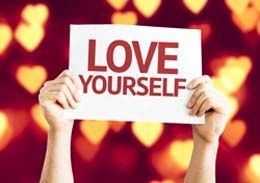 As you turn inward to discover self-love as the source of your own fulfilment, you are able to make peace with your heart, so the emptiness of your being doesn’t frighten your inner child into thinking it is dying. Through this process, it’s crucial to remind your heart that it is not dying or being left behind but dissolving into the light of unity consciousness. At this stage, it is important to realize how you are not the one in charge of letting go since it is your inner child who is hanging on for dear life, unsure if it will make this journey across the threshold. While many egoic tendencies and patterns are sure to dissolve as 5D reality emerges, your inner child does, in fact, make the journey, while no longer existing as a separate archetype or character within you. Upon entry into the 5th dimension, the inner child-like heart and parent-like mind merge together in a sacred union of emotional oneness. Once oneness has been established on an emotional level, it sends a signal to the Universe that you ready to experience oneness with the Divine that appears as the world around you. As you may be learning through the reoccurring emotional patterns that are only here to be loved, oneness with divinity cannot awaken within you until emotional oneness has been established through a conscious foundation of self-love. Because your inner child misunderstands the merging of mind and heart as a death of some kind, it is common for the emptying out process to feel emotionally draining as well as physically incapacitating. Whether your body interprets these dimensional changes mentally, physically, emotionally, or even energetically, each symptom can be welcomed with grace as another opportunity to love what arises. Instead of trying to offer love as a way of clearing something out of your field, I invite you to offer yourself the support, encouragement, patience, compassion and understanding it needs, in order to survive the shift, you were always destined to make. While you are destined to successfully make this shift, in one way or another, loving what arises invites the most joyful and heart-centred timelines of ascension to be accessed, so you can embrace the evolution of your journey much like a flower enjoying the miracle of blossoming – one petal at a time. While it’s easy to view an absence of preferred circumstances, a lack of positive emotional states, or even the disappearance of the people, places, and things that once defined your reality, as proof that something must be wrong, there is always a far greater reality at play. As long as you know the path to entering the 5th dimension is becoming as empty as possible, you can step forward into a new spiritual paradigm in the most direct and heart-centred way. Unlike 3D reality, where the tendency is to do just about anything for an emotional high or in 4D where it is common to exchange desires for emotional highs for the pursuit of greater spiritual experiences, the more you make peace with the emptiness of your being, the more something remarkable begins to occur. Instead of trying to avoid any particular low, while in search of some emotional or spiritual high by any means necessary, 5D is an adventure of spiritual integration that returns you home to your natural state of being. As this occurs, you are able to discover how spacious, peaceful, and joyful life can be when no longer trying to negotiate, fight, or avoid the reality of your experiences. Instead of trying to control the outcome of your experiences, you may find that you no longer resonate with the activities or substances that limit or dilute your expanding consciousness, which anchors into form through a life of inspired healthy choices. During this time of emptying out, asking the question, “What is the healthiest choice I can make right now?” brings your attention to the choices that help you anchor 5D entry and move into a brand-new dimension of fresh opportunities. Especially when the inner child confuses merging mind and heart as some form of death, it is common for compulsive or addictive patterns to arise as a way of delaying the process of emptying out. Whether you are called to love the one who is afraid to die, acknowledge the one who just “wants to go home,” or embrace the one who doesn’t want to be here anymore, each moment of self-love helps to unravel compulsive or addictive patterns out of your field so you can resonate with healthier choices without a belief that you’ll be missing out on more exciting experiences down the line. Once settled into 5D reality, spiritual communities will be rooted in health, balance, and well-being; celebrating heightened spiritual experiences as a celebration of energetic and emotional alignment, instead of chasing after existential breakthroughs while looking away from the imbalanced tendencies throughout their personal lives. In the 5th dimension, spiritual communities digest the insights of the Universe by loving each other throughout each stage of growing pains and supporting one another in implementing each universal truth to create a life of conscious intention and embodied wisdom. Whether you have already begun assembling with your soul family to love one another through this process or feel as if you are venturing down the road less travelled all alone, loving what arises remains the cornerstone of 5D spirituality to guide you across the threshold of ascension as quickly as possible. When I was given the date 9/27/15 by the Universe, it signified a time when the first wave of ascension would be aligned in 5D consciousness. This means by that date, one-third of the planet will be immersed in the emptying out process, making their way into 5D consciousness – with more and more energetically-sensitive souls recognizing addictive patterns, suicidal tendencies, boredom, apathy, the loss of inspiration, passion, or desires, along with feelings of isolation, loneliness, and confusion as signposts of an awakening spiritual reality. As loving what arises escorts you out of the exhausting play of polarity and into the emptiness of being, many mental, physical, emotional, and energetic symptoms tend to balance out. The key is not to constantly look to the horizon for signs of something new emerging, but to hand over each expectation and desire, so nothing can distract you from loving yourself every step along the way. In 3D, we sought love through the validation received from others. In 4D, we sought love through our rigorous inner spiritual work. However, in 5D, we discover love as the light of divinity, made manifest into form at the rate in which loving your heart is not just a choice you give yourself, but the only option to embrace. If love is the highest vibration, why not remove any other choice from the table for consideration, so you can fully embrace the one who calls out for your support? This can be as simple as finding time to be still and quiet several times throughout your day – even singing “I Love You” to your heart like a lullaby offered to an infant. Again, we are not anticipating any particular outcome or response, since loving what arises assists you through the emptying out process, instead of guaranteeing the arrival of any particular feeling, or any specific endpoint. Even if bewildered by the process of initiation, unsure how to be without something to desire, want, or crave, simply by admitting what you don’t know allows moments of profound honesty to assist your heart in opening. Just by admitting, “I don’t know what I’m doing,” “I don’t know how to be here,” “I don’t know what’s real anymore,” or “I don’t know how to be without something to crave or avoid,” you accelerate the emptying out process by allowing the truth to set you free. One moment of stillness, confession of honesty, and “I love you” at a time, you enter the 5th dimension with openness, grace, and ease. While it may not always feel easy or provide you with the outcomes, circumstances, or feelings you prefer, it sets the stage for a greater depth of spiritual evolution that allows you to shine your light for the well-being of all. As we enter 2016 so we enter a year that brings in transformation and change on a large scale. This is the 4th and last year of the cycle called the great void which commenced in January 2013 and finishes at the end of 2016. Throughout this year many people have been pushed to make the final changes required of them in preparation for the shift coming in January 2017 when we leave the great void which has held us in place while so many changes have gone on within and around us so as we can become free of limitation and go on to create the lives we really want for ourselves and our loved ones. We have arrived, as we step into the new energies of 2017 there is an initial difficult period for many in the first two or three weeks of January, as those who have left it a bit late to finish their clearing and winding down process from 2016 get hit with some unpleasant experiences to finally release the necessary remaining negativity that they need to let go of for them to survive in the future much higher creative energies now available on planet earth. We now have freedom from the great void, we have access to high vibrational heart frequencies that can manifest the lives we really want for ourselves. These are at times what we have been waiting for and it is very exciting. Some people still have some old 3rd-dimensional mind programmes going on and they will need help to let those old patterns go and fully shift to be in line with the new earth.